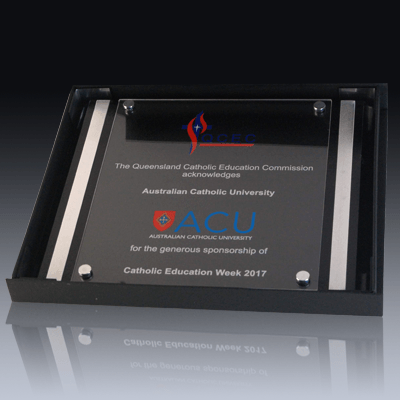 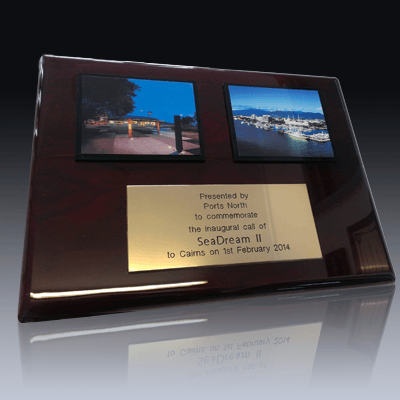 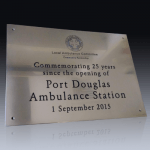 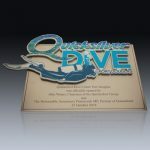 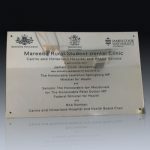 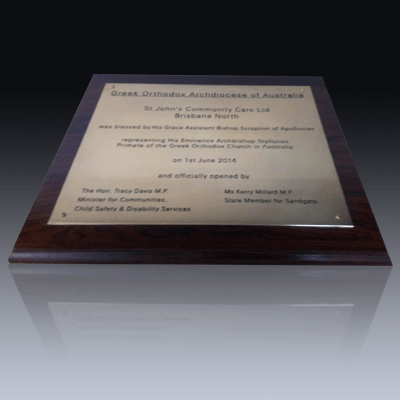 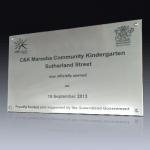 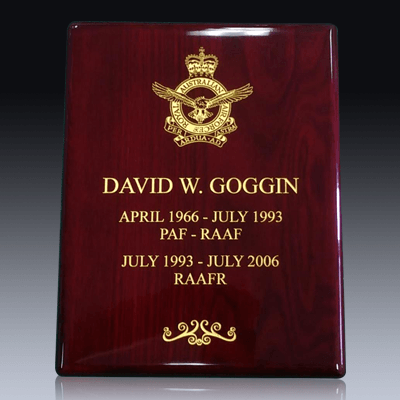 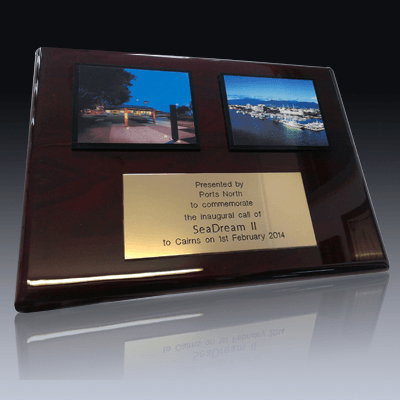 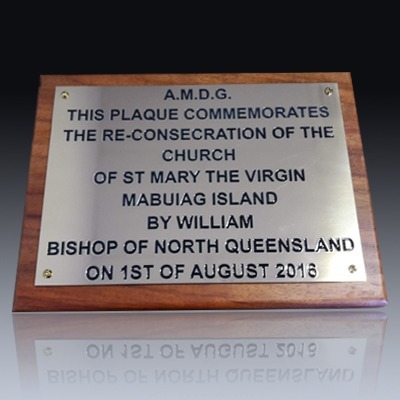 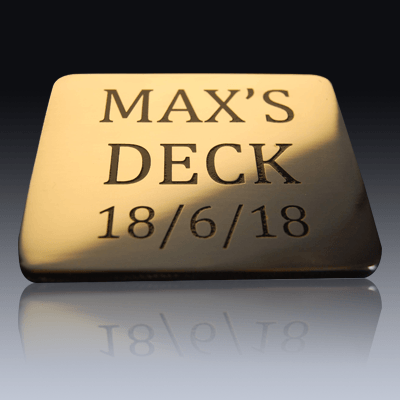 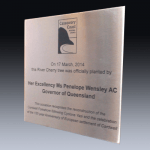 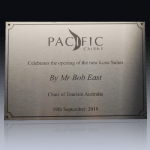 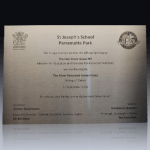 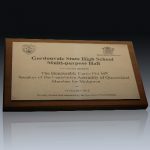 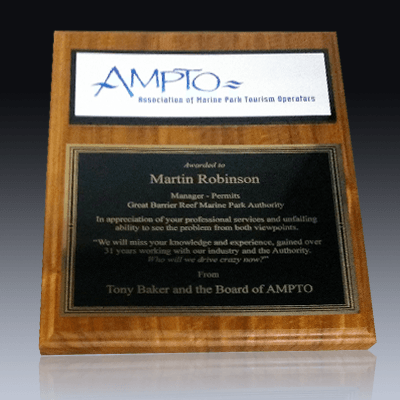 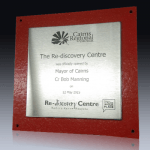 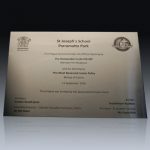 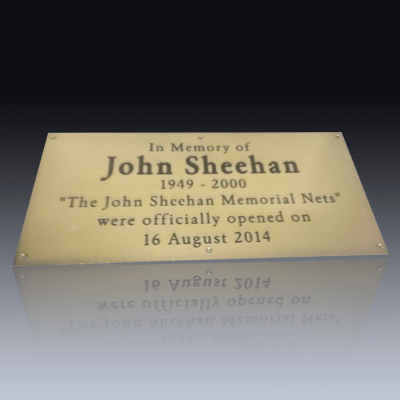 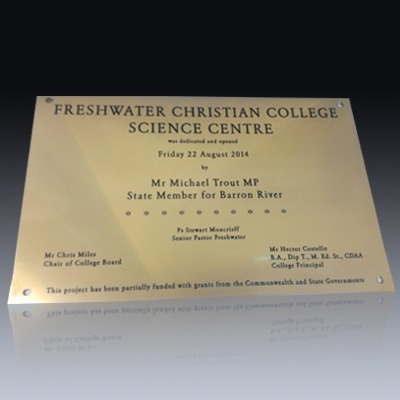 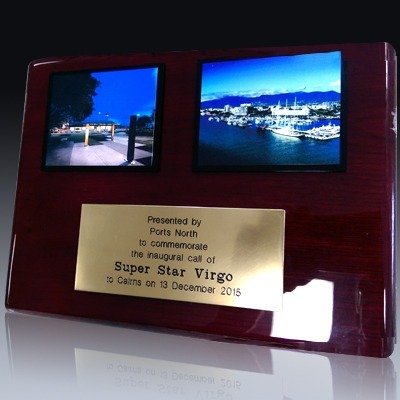 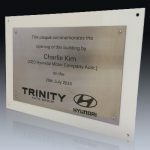 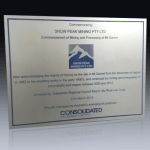 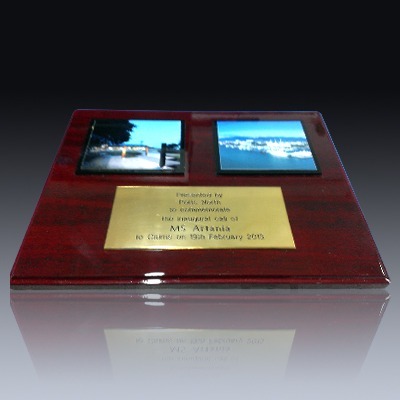 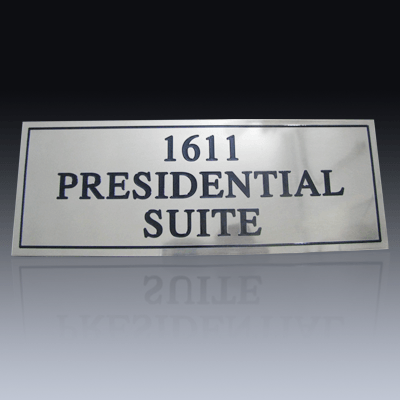 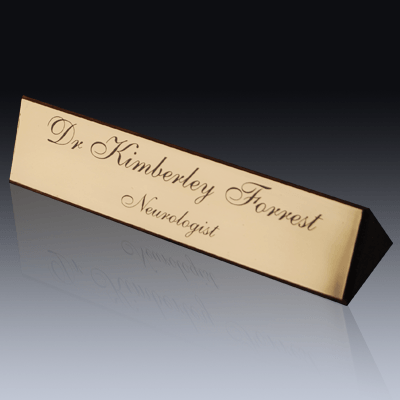 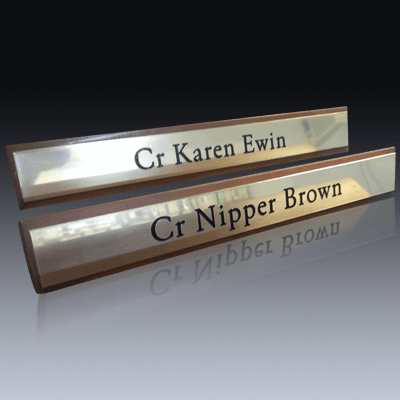 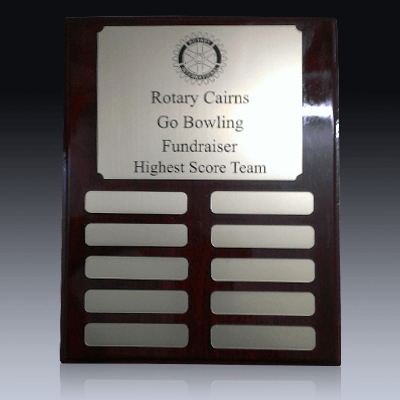 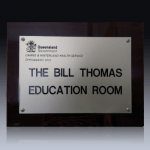 Presentation or opening Ceremony Building Plaques made from brass or stainless steel, engraved or laser etched or polished timber plaques, we make them all. 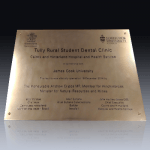 Plaque styles and the processes involved. 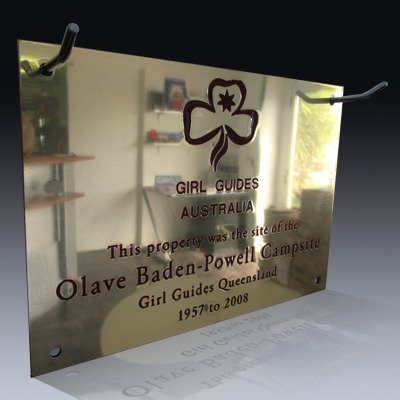 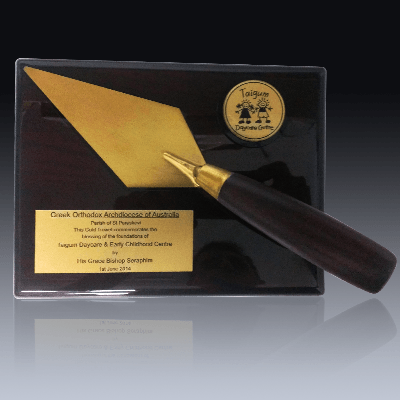 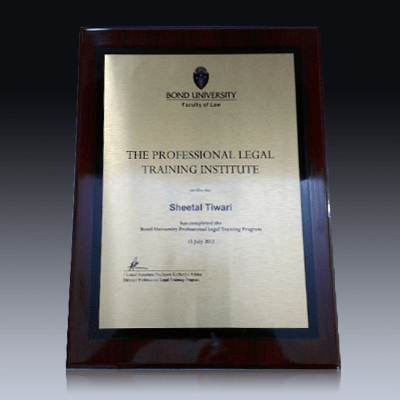 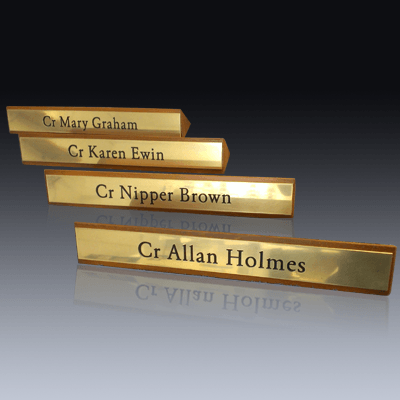 Brass plaques are the traditional type of plaque that most people are familiar with. 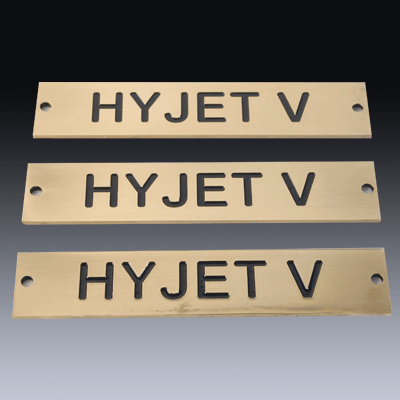 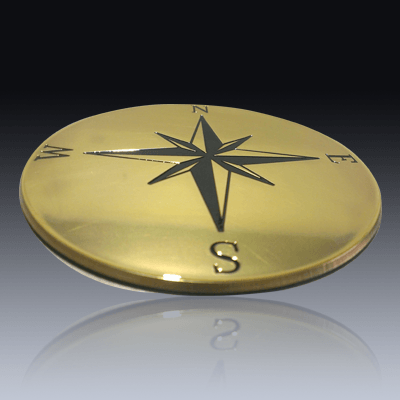 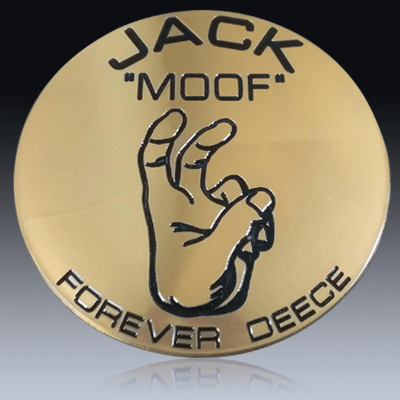 We engrave the brass plate, hand polish, paint fill and then coat with a protective coating. 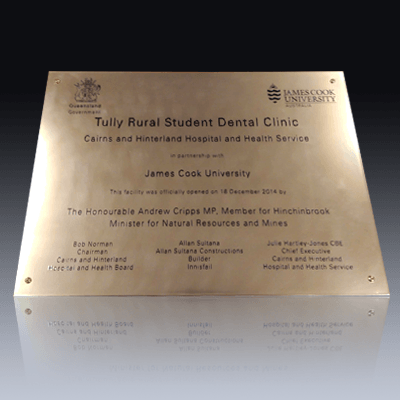 The only downside to brass is that eventually the protective coating will degrade and the plaque will need to be refurbished and re-coated. 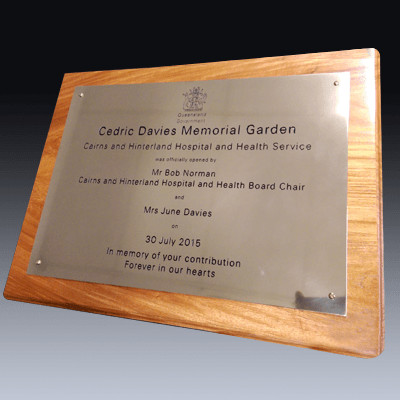 Natural anodised aluminium is an alternative to brass but with a silver finish, We we engrave the plate and then paint fill, being anodised with a hard clear coat the surface does not require any treatment. 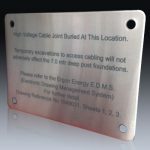 Stainless Steel can be either be laser etched where all the information is black contrasting against the metal or engraved and then paint filled with any colours. 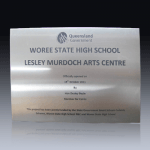 Stainless is available in 3 finishes, plain, brushed or mirror polished. 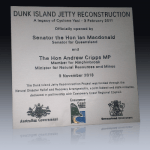 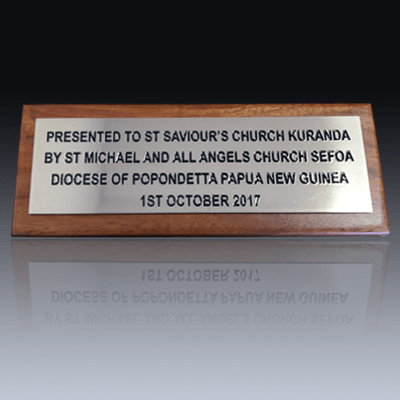 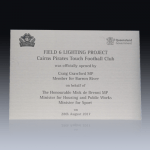 Timber plaques can be laser engraved or rotary engraved, usually paint filled and occasionally used as a backing to an engraved plate. 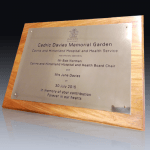 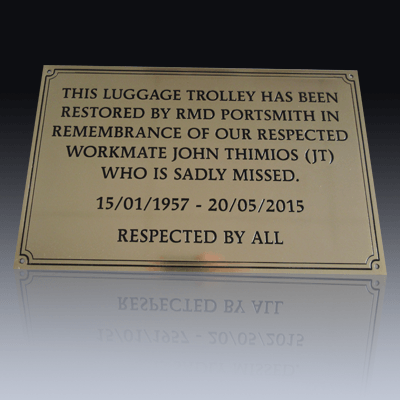 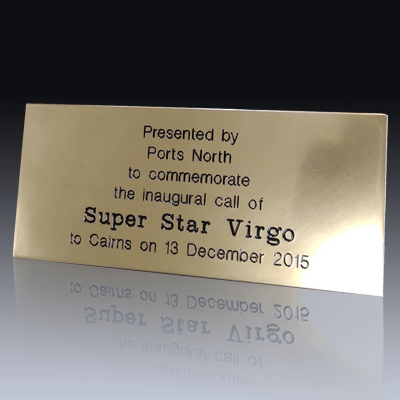 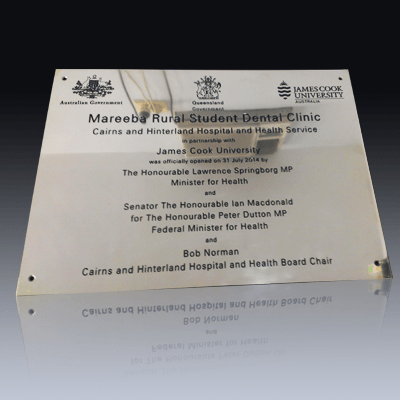 Email us the information you would like on a plaque and we will suggest the most appropriate style of plaque to suit.